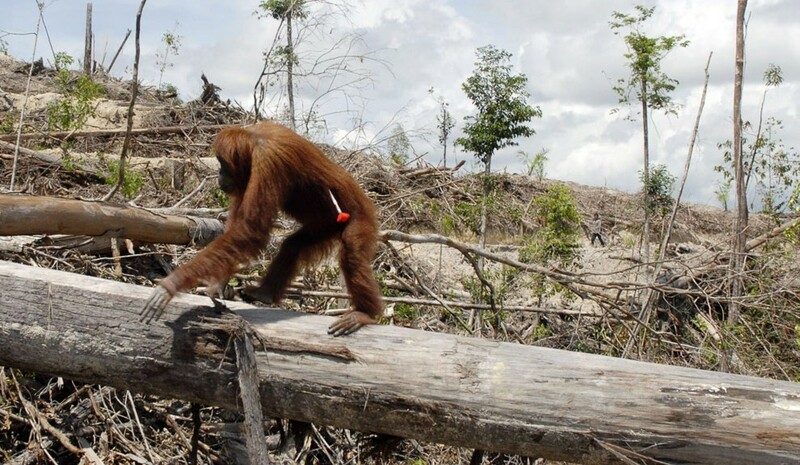 Quote; "One of the worst environmental disasters of our time is unfolding in Indonesia: palm oil companies are torching vast rainforest areas to expand their plantations. The EU’s biofuels policy is fanning the flames, with more than 1.6 million tons of palm oil ending up in European vehicles every year. Tell the EU to stop biodiesel NOW! Rainforests are going up in flames because of the EU’s tragically misguided efforts to protect the climate with its biofuels policy. 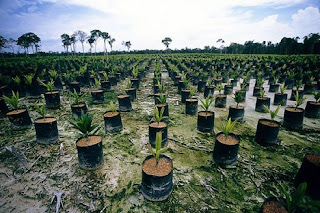 Producing the 1.6 million tons of palm oil consumed annually by European vehicles requires a plantation area of 5,500 square kilometers – that’s an area of former rainforest land nearly four times the size of London or seven times the size of New York City. The EU mandates the addition of supposedly “green” plant-based diesel to conventional fossil diesel fuel. In July, the European Council decided to raise the biofuels share from currently just under five percent to seven percent. To meet the demand, rainforests and peatlands are going up in smoke in Indonesia, the world’s largest exporter of palm oil. As of early October, this year's fires had destroyed 17,000 square kilometers of forest on Borneo and Sumatra. 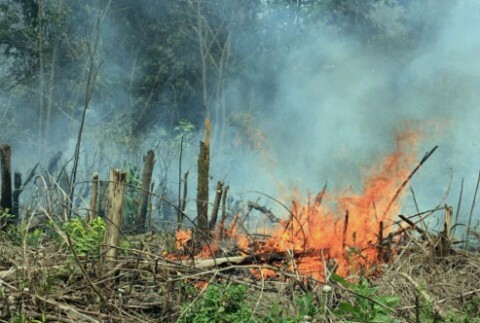 Companies are preparing the land for plantations using slash-and-burn practices – while illegal, it is cheaper than clearing the land mechanically, and plantation owners have little to fear in the way of legal repercussions. “Our forests are burning every year; it gets worse each time,” as Nordin, a member of our partner organization Save our Borneo, reports. At least 25 million people have spent the last three months living in a hell of fire and choking pollution. 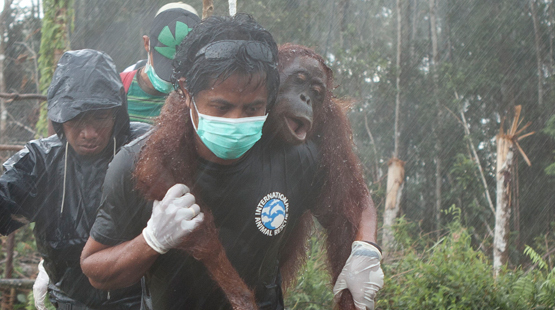 The situation is particularly dramatic in the province of Central Kalimantan on Borneo, Nordin’s home. On a number of days recently, airborne particulate matter reached 90 times the World Health Organization’s safe threshold – people there are dying from the air pollution. Quote; "The U.S. Environmental Protection Agency (EPA) has determined that palm oil should not be included in the Renewable Fuel Standard because of the substantial environmental damage created by palm oil production. According to a notice published in the Federal Register, palm oil-based biodiesel fails to meet a requirement that renewable fuels offer a 20 percent reduction in emissions relative to conventional gasoline. The palm oil industry is vigorously attacking the EPA's conclusion, alleging it's based on inaccurate scientific assessments. The industry has hired powerful lobbyists like the law firm Holland & Knight to try and overturn the EPA's finding that palm oil-based biofuels do not meet the greenhouse gas standards of the Federal Renewable Fuels mandate. 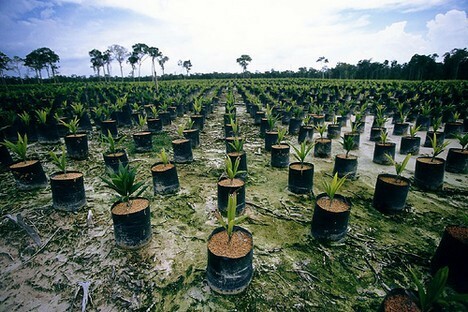 Indonesia is the world's largest palm oil producer. The widespread deforestation created by palm oil plantations has made Indonesia the world's third largest contributor of green house gases and has led to the mass killing of critically endangered species including orangutans, Sumatran rhinos, and Sumatran elephants. 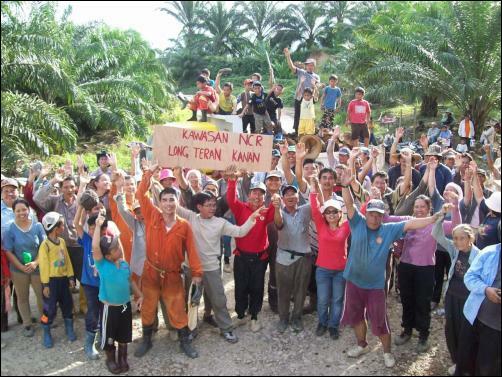 EPA staff were invited to Indonesia to see palm oil operations there but they were only shown the operations of the cleanest producer in Indonesia. It was a sham! It is extremely important that we support the EPA's initial assessment of palm oil as a non-renewable biofuel. Quote; "It must be said however that B.P are totally responsible for the actual accident (within the parameters of previously current* -and recently passed-, U.S industry practices, legislation and standards), however the responsibility for the ethos of expoitative and fast-buck practices is the industry's. I'm not an expert but wasn't/isn't (?) America the most influential oil producing/exploiting nation on the planet? The fact that following the accident B.P were attempting to cobble-together a deep-water salvage/repair unit out of a couple of rusty bath-tubs on Uncle Tom's Louisiana dockside is the whole industry's responsiblity. The British Government should make clear on B.P's behalf that whilst B.P accepts responsibility for the accident and it's aftermath it cannot accept sole responsibility for the climate of exploitation that has been engendered in the industry as a whole. There should be a limit to the financial burden placed on B.P and responsibilty for the rest of the environmental and social consequences of the disaster should be born by the industry (including the national governments of countries which profit from the presence of major private oil-companies on their soil ). *You know like The Gulf Stream. Economists note: If we did prepare properly for all possible eventualities within the oil industry (in terms of possible disaster scenarious involving all activities from oil-well to consumption), how much would it affect the profit margins? Also, if the possible economic consequences of continuing to expoit this resource are so serious and the possibility of disaster so real, do we not conclude that we require far more investment in sustainable above ground (but not above water), fuel production methods? Without clean seas* http://www.coml.org/image-gallery we will not be able to produce the fuels we will need. This is why we need a paradigm shift away from the old exploitative model (also see, "What's That Coming Over The Hill?" Go to http://medialens.org/forum/viewtopic.php?t=3021 ).